Vice Chancellor J. Travis Laster in Delaware Chancery Court has made e-discovery history, again, with a surprise bench order requiring both sides to use predictive coding and to use the same vendor. EORHB, Inc., et al v. HOA Holdings, LLC, C.A. No. 7409-VCL (Del. Ch. Oct. 15, 2012). This appears to be the first time a judge has required both sides of a dispute to use predictive coding when neither has asked for it. It may also be the first time a judge has ordered parties to use the same vendor. According to the Wall Street Journal, Vice Chancellor Laster is well-known as a controversial judge for, as they put it, his surprising rulings, calling attorneys to the carpet, and, along the way, generally become the talk of the Delaware bar. 17 is the way to go. 2 and I will pick one for you. 13 all benefit from some new technology use. Transcript of the hearing at pages 66-67. There was stunned silence by all attorneys in the court room after that order. It looks like neither side saw it coming. This was a sua sponte order from a judge who had obviously already drunk the kool-aid of predictive coding. Judge Laster, or as they say in Delaware Chancery Court, Vice Chancellor Laster, was anxious to see how vendors with wonderful discovery superpowers could save money for litigants in his court. This Delaware Chancery court is arguably the most important business court in the country. After a sua sponte order like this, what happens next will be followed closely. 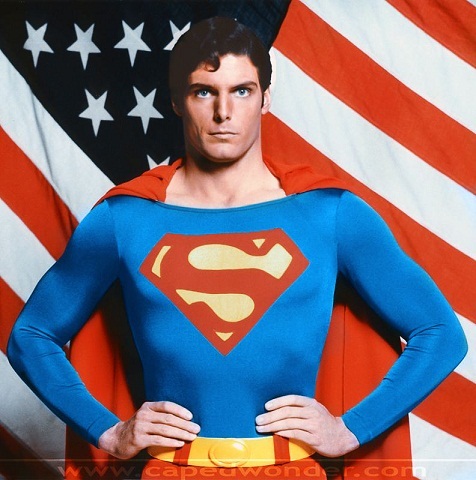 Hopefully a vendor with true e-discovery superpowers will be selected and will save the day. But the first big question is whether one or both sides will file a motion to show cause that predictive coding should not be forced upon them. [r]esponding parties are best situated to evaluate the procedures, methodologies, and techniques appropriate for preserving and producing their own electronically stored information. See: The Sedona Conference Best Practices Commentary on the Use of Search and Information Retrieval Methods in E-Discovery, 8 Sedona Conf. J. 189, 193 (Fall 2007). The parties will probably suggest in very polite language that it is none of the court’s business how either side goes about producing their own electronically stored information, much less select a vendor for them. There has been no dispute between the parties to justify this kind of intervention, no allegations of unreasonable search and inadequate production. Unlike the Kleen Products case, where the plaintiff tried to force predictive coding on defendants, there is not even a hint of wrongdoing on either side, much less a suggestion by anone that predictive coding be used. See eg. Kleen Products, LLC, et al. v. Packaging Corp. of Amer., et al., Case: 1:10-cv-05711, Document #412 (ND, Ill., Sept. 28, 2012). It will be very interesting to see how the attorneys in this case in fact respond. There are many strategic considerations at work. Who wants to tell the judge to but-out, no matter how politely you say it, or how many Sedona Principles you cite? Better to let the other side be the complainer, even if you do not much like it either. Much will depend on who has the heaviest production burden. Plus there is the whole question of what predictive coding protocol to follow. Why did the Vice Chancellor make a point of ordering the parties to use a single vendor? Does he next intend to force disclosure of irrelevant seed documents? Is that the reason for the same vendor, to facilitate mutual disclosures of information? Do the rules of procedure in Chancery Court in Delaware require a party to produce irrelevant documents? Is a Vice Chancellor authorized to order it anyway? Yes. This will be interesting to watch. And since so many major corporations are domiciled in Delaware, many corporate counsel will follow it closely. 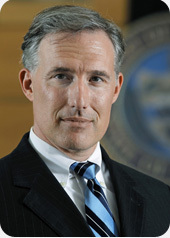 Vice Chancellor Laster has rocked the e-discovery world before with his bench rulings. Remember the order against self-collection that he entered in Roffe v. Eagle Rock Energy GP, et al., C.A. No. 5258-VCL (Del. Ch. Apr. 8, 2010)? Roffe was controversial at the time, although it pales in comparison to the predictive coding order in EORHB. From what you have described to me, you are not doing what you should be doing. First of all, you do not rely on a defendant to search their own e-mail system. Okay? There needs to be a lawyer who goes and makes sure the collection is done properly. So both as to the two directors who already have produced — we don’t rely on people who are defendants to decide what documents are responsive, at least not in this Court. And you certainly need to put somebody on a plane to go out and see Mr. Smith. So the question for me would be, one, how fast can you do this right? And that means not only the e-mails from Mr. Smith. As I say, somebody should have been on a plane a long time ago to go through his e-mails. And if he chose to use his personal computer, well, that was his bad choice. All right? And if he has it mixed in other stuff that he gets, 150 e-mails a day, or whatever, that was his bad choice. That makes it all the more essential that a lawyer get on a plane, and go and sit down with Mr. Smith, and go through his e-mail and make sure that what is produced is — what is responsive is appropriately produced. And whoever it is better check his 15 auto-delete settings, and they had better find out if these things have been auto-deleting every 30 days or 60 days or 90 days, and they better think through, as somebody properly should have done, whether there needs to be some type of, again, image and forensic check, to make sure that something hasn’t been lost in what sounds to me to be a lackadaisical, unsatisfactory process. There is a new predictive coding case on the map that could have a big impact on the attitude of corporate America to predictive coding. EORHB, Inc., et al v. HOA Holdings, LLC, C.A. No. 7409-VCL (Del. Ch. Oct. 15, 2012). Let’s hope this surprise intervention by a strong judge turns out well. Like Vice Chancellor J. Travis Laster, I too have drunk deeply of the predictive coding kool-aid. There is no doubt that if predictive coding is done properly, review can done at lower cost and greater effectiveness than with any other method. It all depends on how it is handled. But still I am concerned about forcing this on parties who do not want to drink. There is such a thing as too much too fast. I do not know if we are there yet with this Hooters case, but we are getting close. This a very smart judge, and top-notch law firms are involved, so I am hopeful they will work it out. If so, they will keep corporate America positive on this important new method. If not, well, depending on what Vice Chancellor Laster does, this could well be another T. J. Hooper moment. T. J. Hooper 60 F.2d 737 (2d Cir. ), cert. den., 287 U.S. 662 (1932); Does Your CAR (“Computer Assisted Review”) Have a Full Tank of Gas? People like me can just cajole and persuade. People like him can order and make things happen. 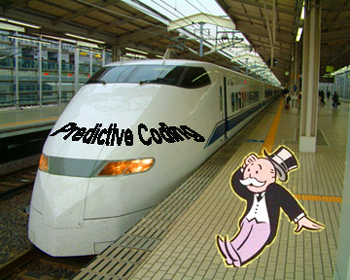 Either way, the predictive coding train has definitely left the station now. All aboard? This entry was posted on Thursday, October 25th, 2012 at 4:51 pm and is filed under Lawyers Duties, Metadata, New Rules, Review, Search, Spoliation/Sanctions, Technology. You can follow any responses to this entry through the RSS 2.0 feed. Both comments and pings are currently closed. It’s not clear to me why the Judge is so confident that use of a *common* review tool is calculated to save money or time. Certainly, no one has studied whether training a predictive coding tool against one collection will necessarily produce better results against a different collection when the same issues are implicated. Absent such cross-training advantages, it’s hard to fathom why use of a common predictive coding algorithm will foster economy or efficiency here (compared to use of separate vendors using agreed-upon protocols). C’mon. Fess up! Did somebody spike the Kool-Aid? Ralph Losey, is that a flask in your pocket? Go to the Vice-Principal’s office NOW! 4)	The vendor could act independently, as opposed to supporting whatever claim made by their client, thereby providing the court with an objective view about what?, why?, how?, etc. perhaps even a master/neutral to break a tie. Nowadays, with PC, I’m even fonder of the idea. Most of these technologies improve their reliability proportionally to the volume of data they ingest. Accordingly, dataset 1 could be comingled with dataset 2. The tool would cluster the new dataset and show each party only the documents that belonged to them in each cluster. In order to take it a step further, while agreeing with you that “no one has studied [publicly proven] whether training a review tool with predictive coding technology against one collection will necessarily produce better results against a different collection when the same issues are implicated”, I would suggest that agreeing with the other party about concepts/issue codes and seeds/training/example documents for each of them, and running the audited result against the comingled dataset would at least set aside any debate about culling methodology… Furthermore, I would bet that the precision and recall rates would be higher, and the resulting responsive documents more relevant than if each party had used predictive coding (or any other methodology) on their own. While I’m not in a position to defend the right of the court to render such orders in your jurisdiction, I certainly applaud the fact that the abovementioned unpublished study will hit the public record. I truly hope the right vendor and technology are used! Thanks for sharing Ralph. This takes judicial activism to a frightening new level. Interesting – in a negative sort of way – that so many previous discussions stress the need for cooperation between counsel and then in a situation where cooperation does not seem to be a problem, the bench appears to strong-arm anyway.